This Superdry Classic Poolside Pique Polo is 100% cotton and is cobalt blue in colour. 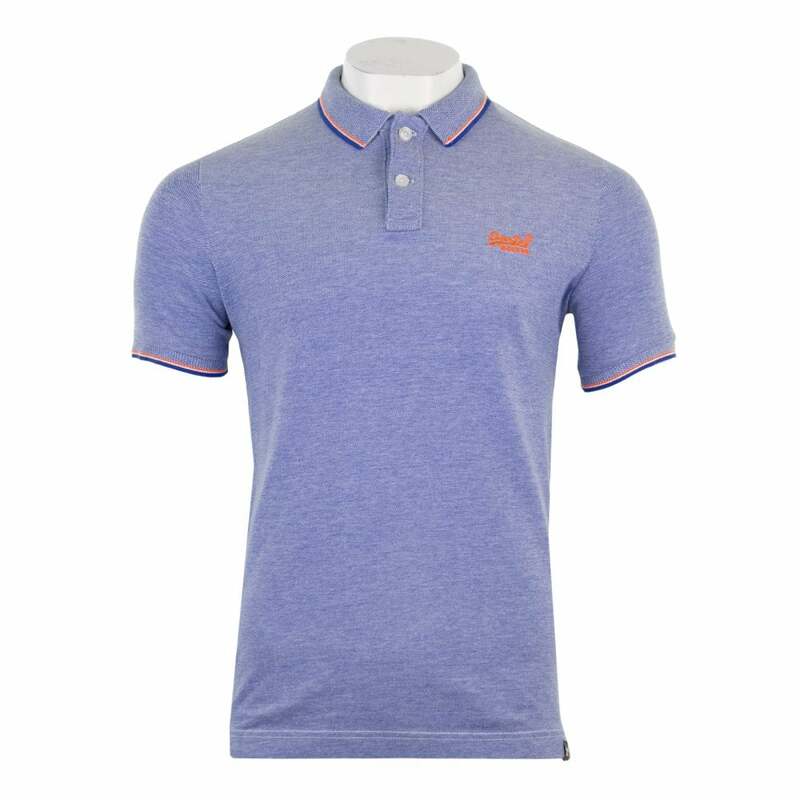 It is short sleeved and has a two button polo collar and cuffs with orange, blue and white stripe detail. Superdry branding appears embroidered in orange on the chest area.